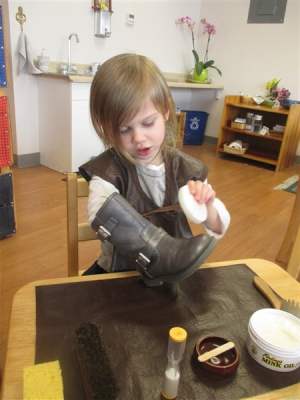 Lake Country Montessori is unique in the Lake Country area and Waukesha County as we provide a true Montessori environment. Families interested in enrolling their child or children in LCM are first asked to fill out an application for admission. 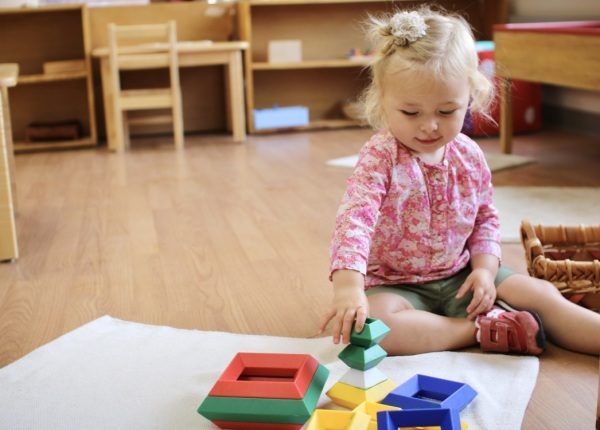 This is often a child’s first introduction into a Montessori classroom. Practical Life is a holistic concept that involves sharpening a child’s concentration, coordination and attention focus as well as other skills that will bolster a child’s sense of wellbeing and independence. 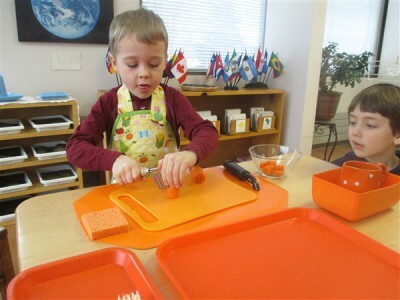 Practical Life activities are in a specific area of the classroom but they also expand into the larger classroom, i.e. how to resolve a conflict, work with a partner, push in a chair, roll up a mat etc. 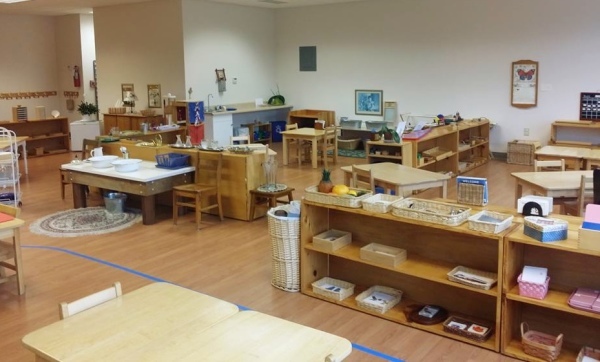 In the practical life area of the classroom, there are many of the items a child may see his own parents using, this area allows a child to gain mastery over specific tasks that adults typically do, i.e. pouring juice out of a pitcher, sawing and hammering wood, and washing dishes. The materials in this area are an exact replica, albeit smaller, of the tools and materials at home. 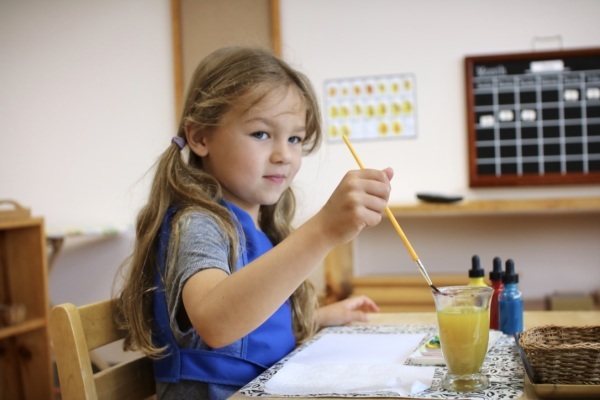 A child who can successfully master the same tasks parents do at home has a feeling that his work is valuable and thus gains an increased sense of self-esteem. 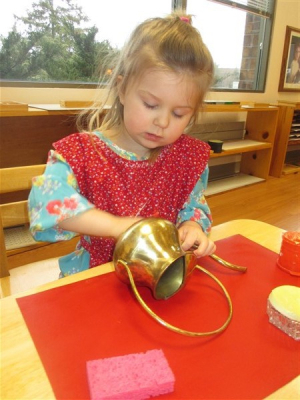 The Montessori Method encourages a student to maintain their own classroom environment. If a child spills, they are shown the tools to clean it up. After they complete a task the materials are put away in a clean and orderly fashion so the next student can use them. They are taught how to care for the classroom plants and animals, and they must maintain their care. They are also taught how to care for and help one another. Showing a new student how to do an activity as opposed to telling them is encouraged. Comforting a distraught classmate, taking care with other children’s work and respecting each others differences are all aspects of Practical Life lessons and an integral part of a Montessori classroom. 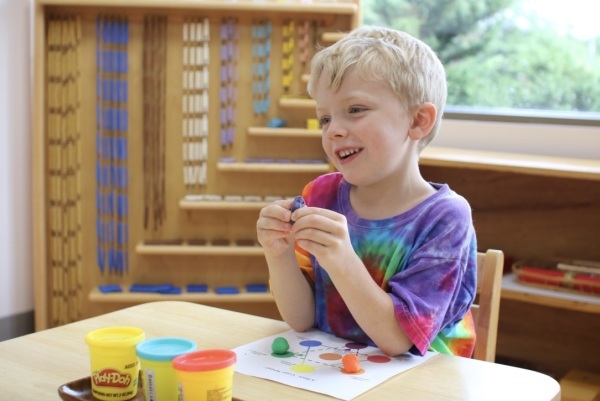 Lake Country Montessori prepares children between 18 months & 6 years for life by providing an authentic Montessori environment that fosters respect for themselves, others and the world in which they live, as well as responsibility, independence and a lifelong love of learning. © Lake Country Montessori, Inc.